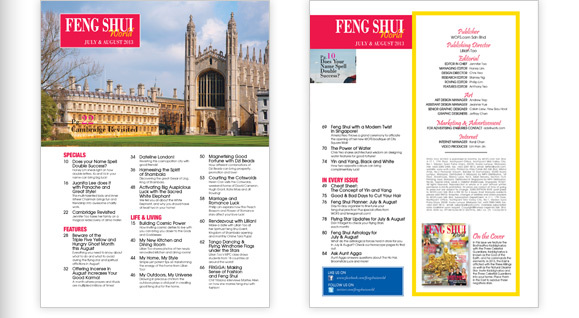 In this issue we feature the Bodhisattva Ksiddigharba with the Three Celestial Guardians. Ksiddigharba is known as the God of the Earth, and he commands the elements. In 2013, the East is afflicted with the Three Killings as well as the Natural Disaster Star. Invite Ksiddigharba and the Three Celestial Guardians into your home. Place them in the East to subdue these negatives stars. 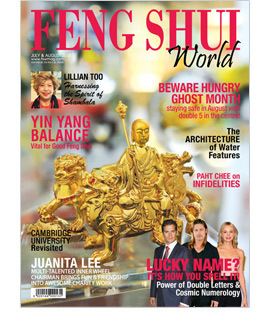 Page 10 : Does your Name Spell Double Success? Page 16 : Juanita Lee does it with Panache and Great Style! Page 32 : Offering Incense in August Increases Your Good Karma! Page 34 : Dateline London! Page 60 : Rendezvouz with Lillian! 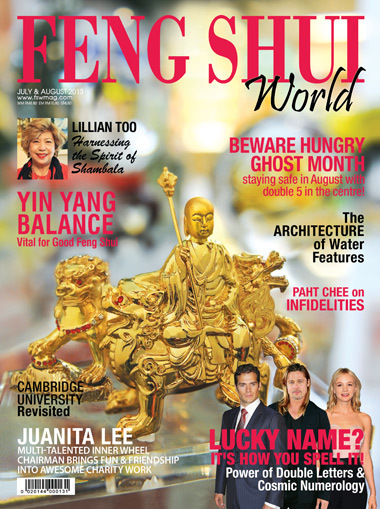 Page 69 : Feng Shui with a Modern Twist in Singapore!